Agustin Ruiz was raised in Ecuador’s Andean Mountains in a family of artisans, weavers and sewers. Initially he started crafting leather shoes, experimenting with different combinations of textured and dyed leather to create interesting original designs. Later he transferred his sewing and design skills to making tapestry fabric bags and vests. He mixes and matches various fabrics, pairing several colors, patterns and textures to create fashionable, one of a kind bags that are durable enough for daily use. His fabrics are hand cut to ensure the seams match up and the end result is balanced and attractive to the eye. 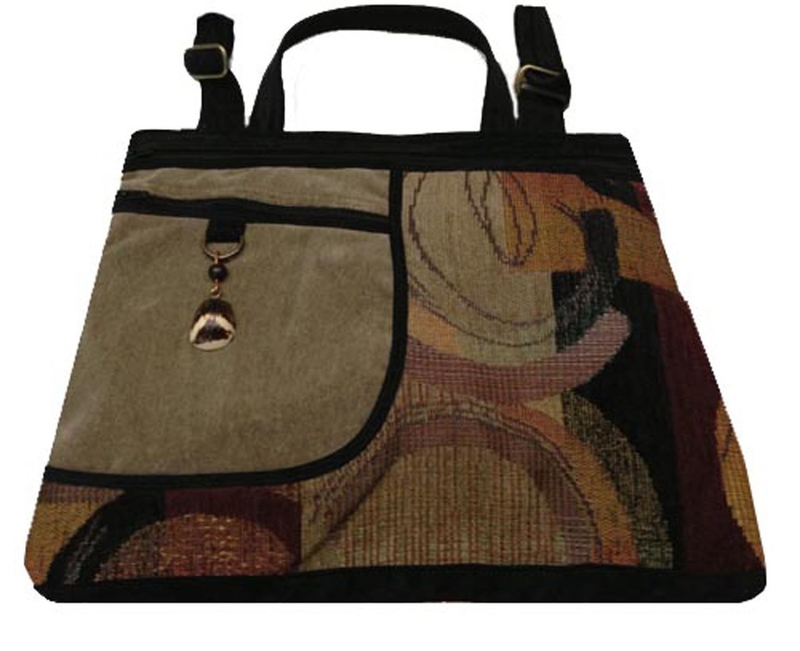 Each seam is secured with a heavy duty serger sewing machine for long lasting handbags, purses and duffel bags. For a classy finishing touch, Agustin accents each bag with handpicked palm tree tagua nuts or polished seeds.